Coconut oil is one of the most powerful natural antifungals – take it correctly and your infection will be gone for good. You should know that most people normally have candida in their mouths anyway. It only becomes infectious when it grows out of proportion – a process called candida overgrowth. Stress: long periods of stress may weaken your immune system, thus preventing the healthy bacteria to keep candida albicans in check. While all these factors are associated with oral thrush, this condition is relatively infrequent in healthy adults. If you do get it, consult your doctor – left untreated, it may lead to further, more complicated infections. Coconut oil is great for treating thrush because it contains a number of acids (capric, lauric, and caprylic) that actually kill the candida colonies in your mouth. To get the best results, you should use extra virgin coconut oil made from fresh coconuts. Oil pulling: after brushing your teeth in the morning, take a tablespoon of extra virgin coconut oil and swish it around for about 15 minutes. Do not gargle with it and do not swallow it, as it will be full of toxins. Spit it out, then rinse with salt water. Swabbing: apply extra-virgin coconut oil on the affected areas with a cotton swab, usually 2-4 times a day, until you’re happy with the results. 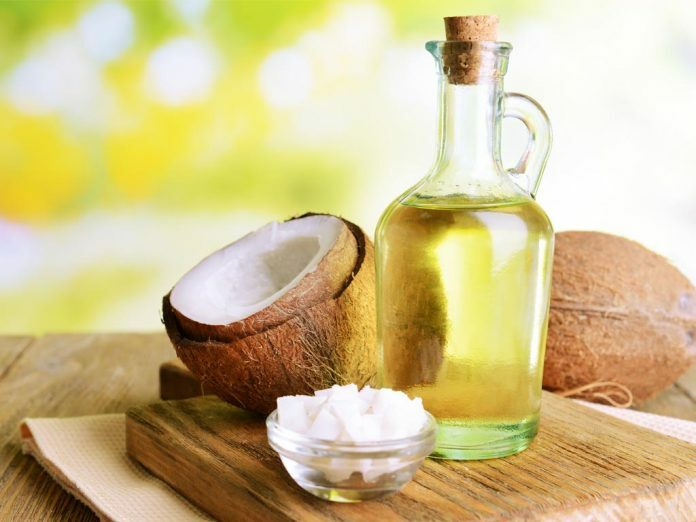 Ingesting: you can also include up to 4 tablespoons of coconut oil in your diet. This will reduce the candida in your gut, and help keep your PH levels balanced, so as to prevent further infections. A potent antifungal, coconut oil can be taken in a variety of ways, and it will do wonders in treating your thrush infection. While it can be taken relatively riskless, it’s best to consult your doctor to get a treatment that’s adjusted to your personal needs.